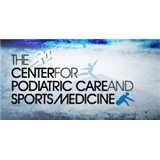 The Center for Podiatric Care and Sports Medicine (New York) - Book Appointment Online! Dr Vera is probably one of the nicest doctors I have ever been to. She has an amazing bedside manner. She is patient and she spends a lot of time with her patients. I had a great first impression of Dr. Lai. She was very attentive and listened well. I think I made a good choice by choosing her to help me with my foot issues.